I managed to attend the Postcrossing Philippines meet-up last summer. It was a good thing someone agreed to do childminding duties so this mum can take her off on a Saturday. I was never comfortable taking public transportation whenever I go to Manila, but it was a good thing I got there without incidents. I arrived around lunchtime, just in time to try out this restaurant that serves affordable Filipino dishes nearby. 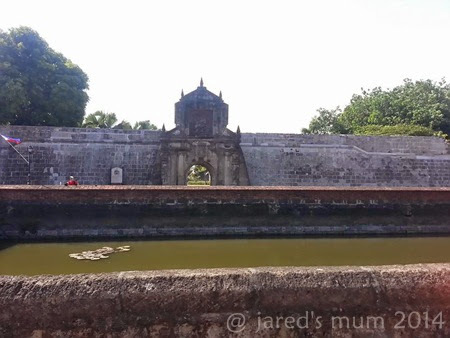 It has been ages since I last visited Fort Santiago, and it is one of the most important historical sites in Manila, so I was really excited to visit the place again after a very long while. The postcrossers took a spot in one of the tables in the park and exchanged many happy stories, trivia, and information about our favorite hobby. 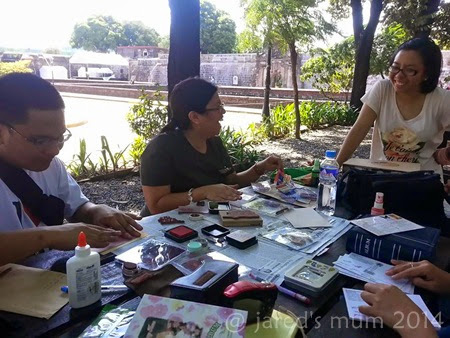 We also exchanged postcards and busied ourselves signing up our Fort Santiago meet-up cards, which will be sent out to our other postcrosser friends who never made it to the meet up that day. Of course, we never failed to take as many photos of our meet-up, as well as the cards we brought that day and our lovely meeting place. 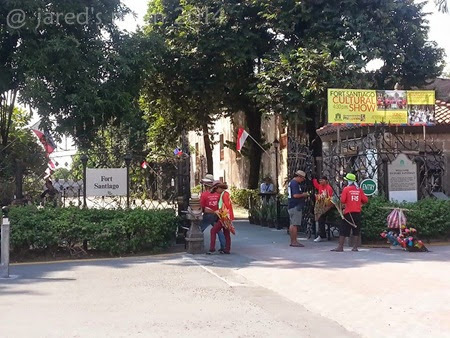 Too bad we were not able to explore more beyond the citadel of Fort Santiago, but walking around the park in one hot summer afternoon is really quite a treat. The scenic view, the lovely trees and the beautiful ambiance is very relaxing, too. The interesting music blaring from nearby, most probably played by instruments from guitarcenter.com, also adds to the delightful experience. I hope I can go back to the place again soon with the little man. Am sure he will enjoy running about and exploring the place. And I will bet my hands, he’d ask for coins to throw at the nearby water. Our meet-up sure is one enjoyable experience, it is amazing to meet the people whom I only swap postcards with in person. It is also quite a thrilling experience to meet people of like mind and who share the same passion. 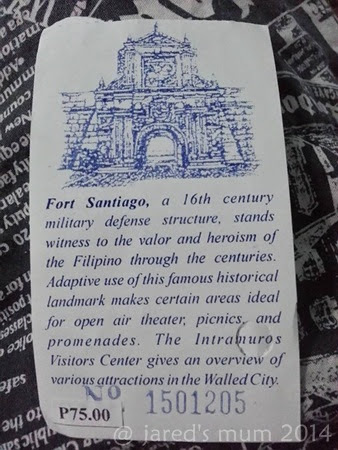 Fort Santiago is in Intramuros in Manila. The park is open between 8am-5pm on weekdays and are closed down on weekends. Admission is at Php75 only and I think they charge less for kids and for those travelling in large groups. 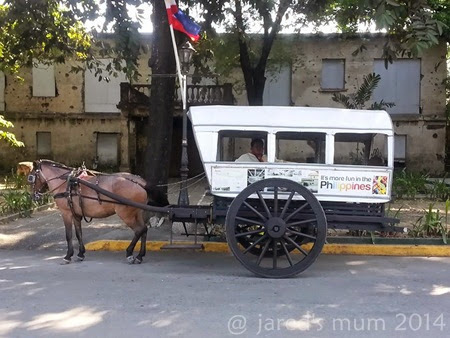 This entry was posted in educational places for children to visit, travel and tagged Manila, parks on July 8, 2014 by Mum Travels.